Steve Lawson releases 11 hour, 10 album project. Steve Lawson has never been one to do things the ‘normal’ way. For a start, most of his music making happens in the form of ‘solo bass guitar’ gigs and recordings. 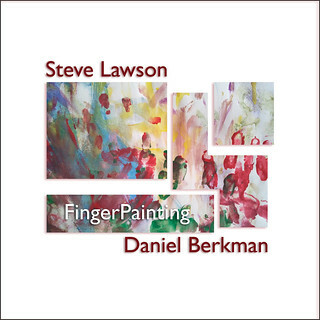 His collaboration with Daniel Berkman is perhaps even stranger – a meeting of two improvisors, Lawson on bass, Berkman on electronic percussion, Kora, Gravikord, synths (tiny ones) and ukelele. Steve and Daniel have, to date, played 10 shows together. They met a couple of hours before the first gig, have never rehearsed, jammed, being in a recording studio, or done any other playing together not in front of an audience. Thanks to Lawson’s habit of multi-track recording every performance he does, they quite remarkably have pretty much every note they’ve ever played together in a release-quality format. The decision to release it all came about while listening to rough edits from the 2nd tour, and realising that each gig hung together as a complete set, a coherent ‘album’. Having already released one of the shows from 2012 (Accidentally (On Purpose) was released in January 2013), the idea of putting out 9 other single albums at 6 month intervals just seemed archaic, not to mention futile, given that further touring will no doubt produce yet more recordings to release. Thus was born the idea to release it as a 10 show, 11 hour set, on USB stick and by download, and to produce a 2 CD ‘best of’, bringing together two thematic CD-length programs from across the 10 shows. 8 of the ten shows – including the show where FingerPainting was recorded – also feature San Franciscan singer Artemis. She was also the architect of the Lawson/Berkman match-up. It was Artemis’ hunch that the pairing would produce some interesting music that lead to the two shows in January 2012, and the first album Accidentally (On Purpose). 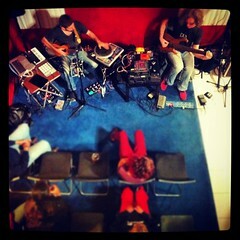 Fast forward to January 2013, and Artemis also assembled the 8 show house concert tour where the rest of the USB Stick set was recorded. Her vocals add yet another emotional dimension to this most cinematic and story-telling of musical pairings. FingerPainting is out on May 2nd 2013. The USB Stick and CD will be finished by July 2013, shipping out in the first week of that month. As each show is mixed and mastered, links will be sent to those who’ve pre-ordered the ‘instant update’ options. Accidentally (On Purpose) was released on January 11th 2013, and features artwork by Brian Travers.